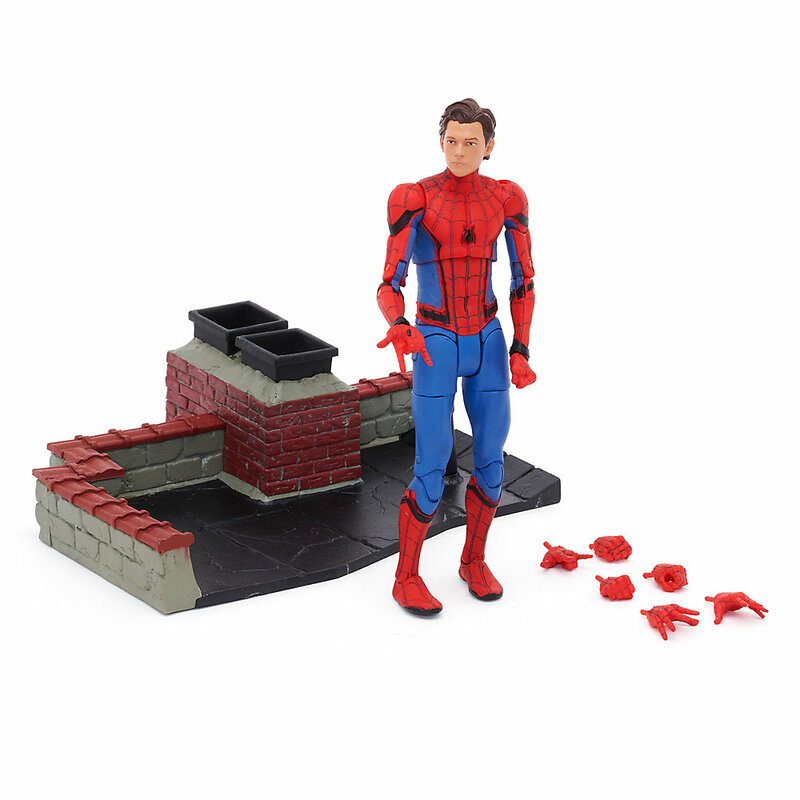 Disney Store UK has a listing for a new Spider-Man: Homecoming – Unmasked Spider-Man Marvel Select Figure coming from Diamond Select Toys. 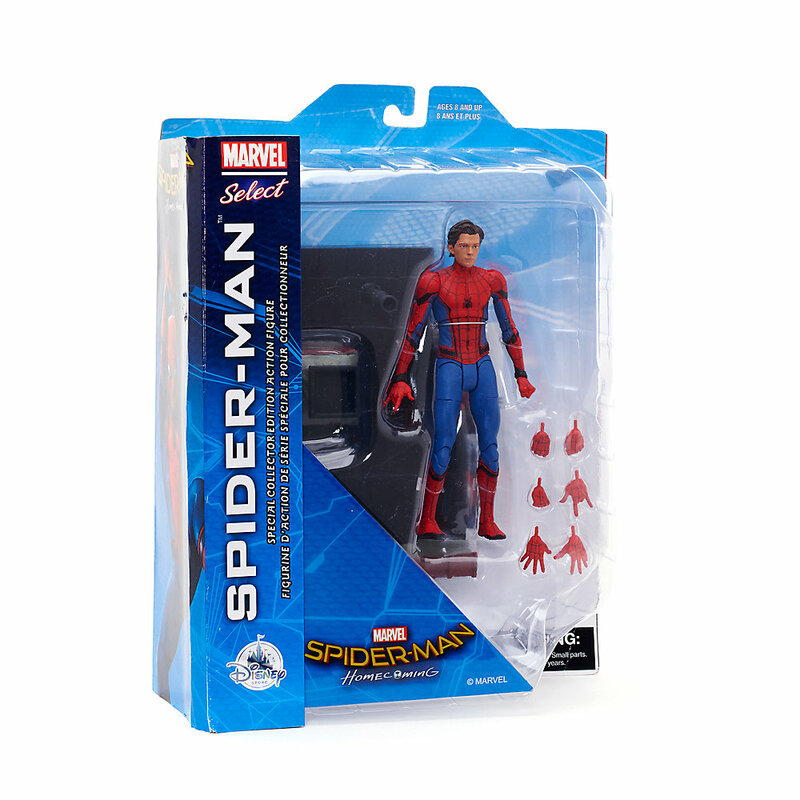 The figure will be exclusive to Disney Stores and to the Marvel Shop when listings go live in the U.S. 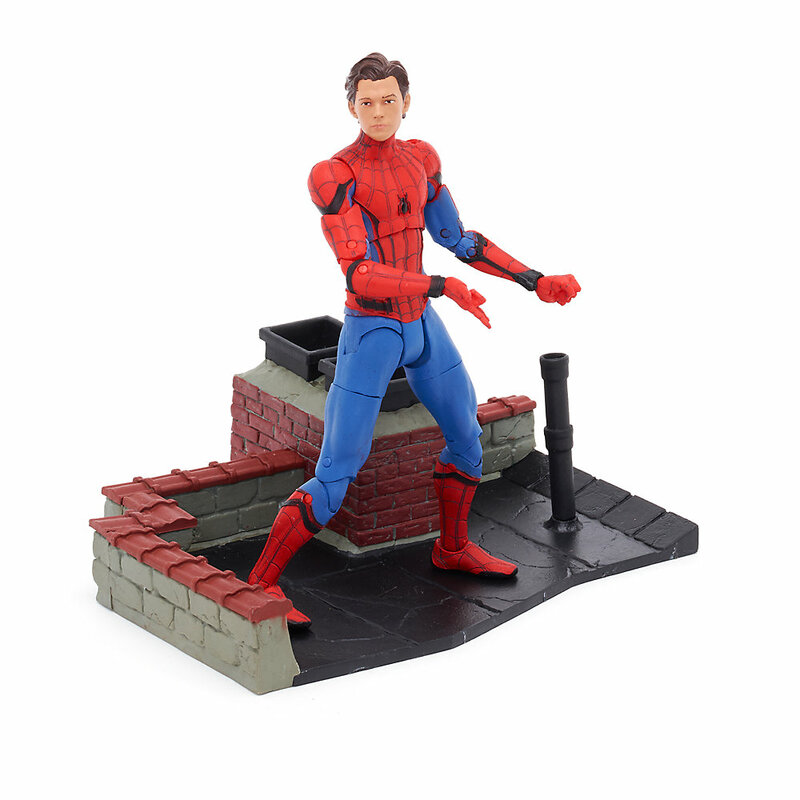 The figure features an unmasked Peter Parker head sculpt, multiple interchangeable hands, and a rooftop diorama base.The figure is currently listed as “In Stock”, so it shouldn’t be long before it pops up online in the U.S. If you’re in the UK, you can order the figure by Clicking Here. It’s priced at £22.00. Read on to see the photos. Unmasked is a bit soft...but will probably consider it. Those hips are such an eyesore. 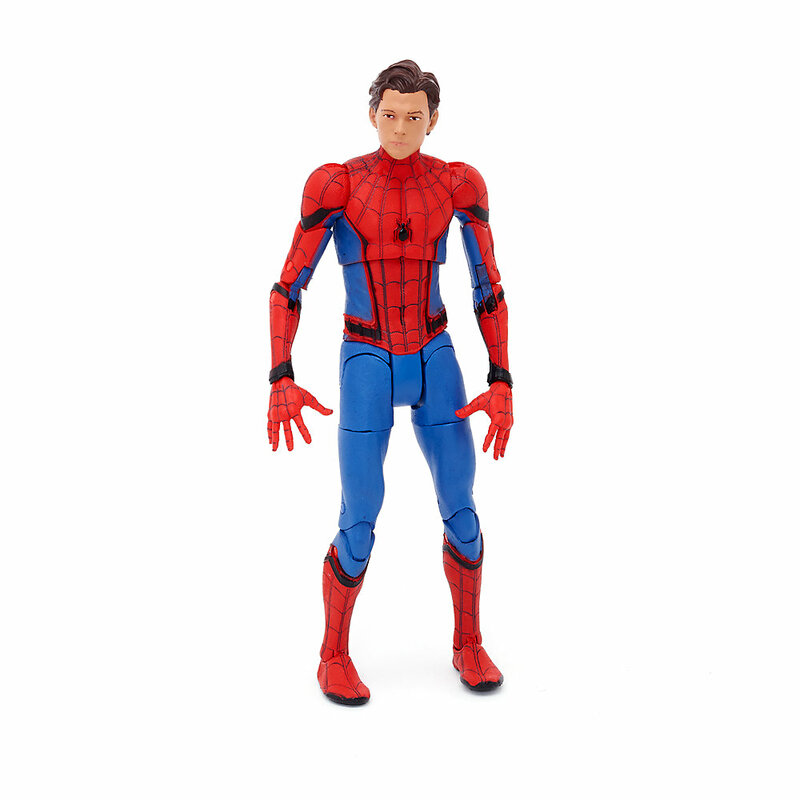 I am just not sure why Diamond Select decided to switch to these hips considering all their other SPideys had those better looking ball joints. Man, that's awesome! But a masked head and the detailed lines on the legs would have made this even better. 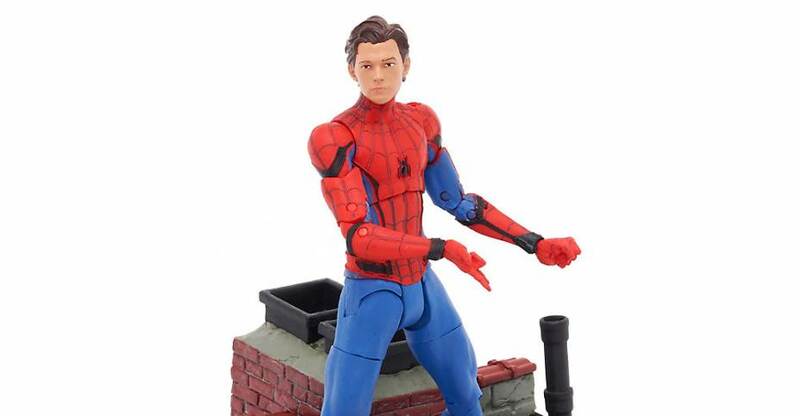 Why not just do a Peter Parker figure instead? I don't usually care much for the selects because of how big they are, but that head sculpt looks fantastic and I almost want to pick this up just for that. I get why people don't like that style of hip articulation, but to me, it looks better when the figure is just standing straight and not posed, while the ball jointed hips look a little more unnatural because of the way the hip area is disrupted by the rounded end of the legs. I've also found that ball jointed hips are somewhat limited in posability in some cases by the shape of the pelvis, where the legs aren't allowed to be moved very far forward or to the side(as in the Star Wars Black Series figures).